325 gallon waste tank, single axle galvanized trailer. 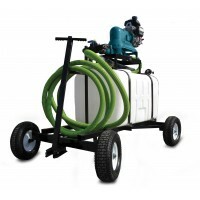 Includes Mud Sucker pump technology, all hoses and custom features. HW-300 Series Help You Pump Out The Tough Stuff. 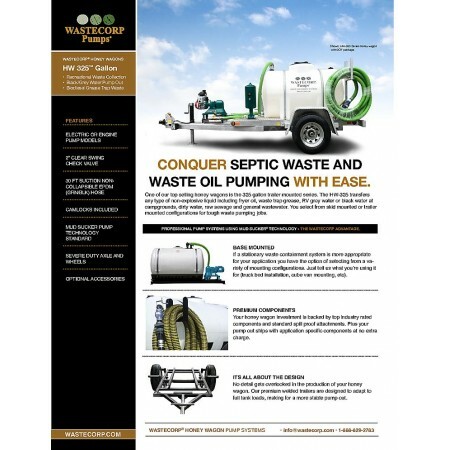 Wastecorp's 325 gallon honey wagons provide the pumping power and durability needed for a high demand environment. 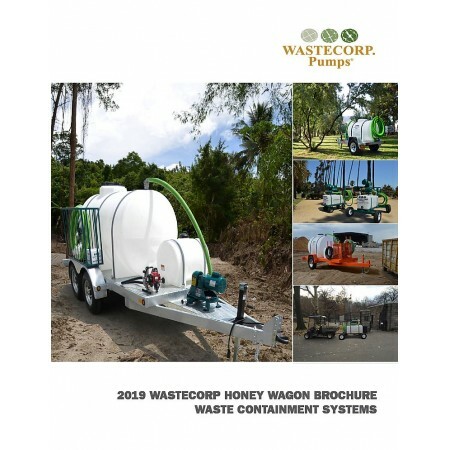 The only honey wagon with advanced Mud Sucker diaphragm pump technology. 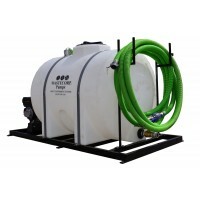 Select from 2" or 3" pumps for up to 80 GPM of fluid transfer. Available DOT lighting package. 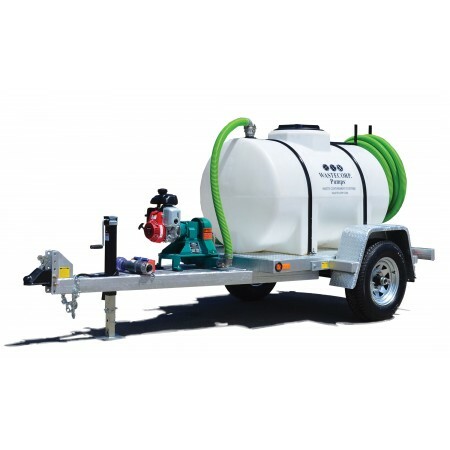 Select from skid mounted, Utility trailer mounted or DOT compliant models with galvanized decks and frames for the ultimate in corrosion resistance. 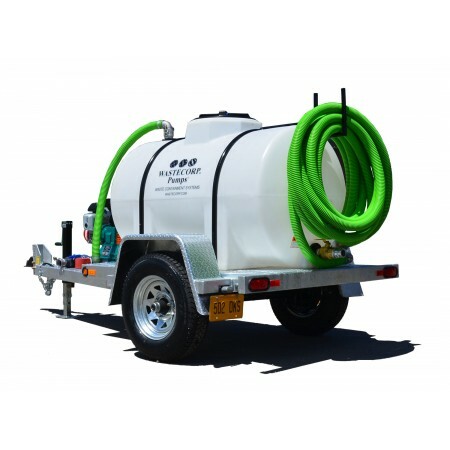 Wastecorp also offers the 325 gallon pump out for government, military and select industrial specifications requiring a steel or stainless steel tank The standard package includes a 40 ft. crush proof hose and all connections to begin your job quickly. Up to 70 ft. hose lengths available.